Construction is starting this week on investment bank Ashe Morgan’s fresh food precinct at The District Docklands – which will continue the $150 million transformation of the former Harbour Town mall. Victoria’s Minister for Planning Richard Wynne has turned the first sod of construction to mark the start of works. The project is the next phase of the transformation of the Docklands precinct, with The District Docklands already building a cutting-edge entertainment hub complete with an eight-storey Hoyts cinema and other entertainment and restaurant options. 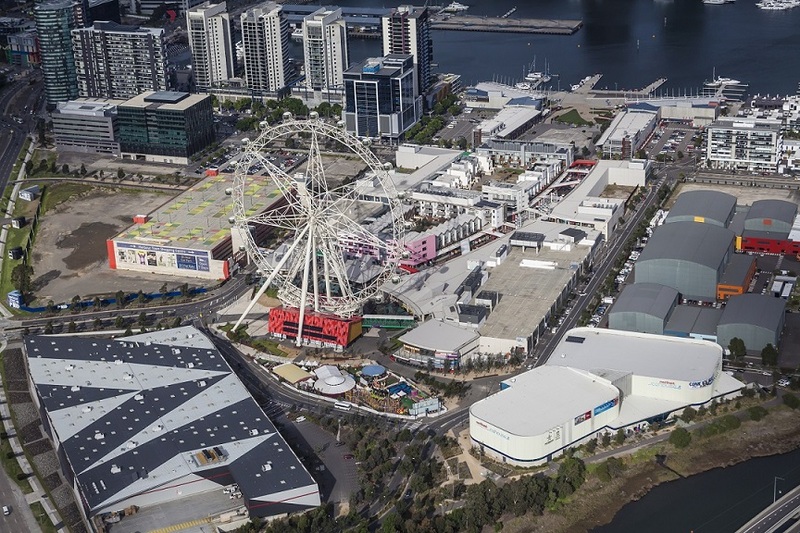 Ashe Morgan purchased a portfolio of Docklands assets for a combined value of $146 million in 2014 from ING Real Estate which included the Harbour Town precinct, car parking for 2,818 spaces, Medibank Ice House and a number of development sites (28,000sq m) with masterplan approval. The Sydney-based investment house has been reviving the mall with the cinema, bowling alley and a boutique brewery opening this September. The food market precinct is expected to open in 2019. 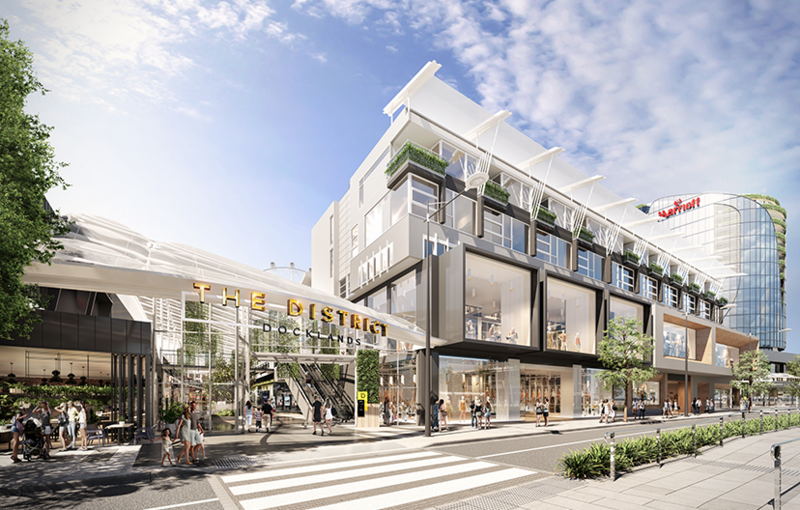 Retailers H&M, Hype DC, Platypus and SportsPower are now anchoring the retail component at The District. Singapore-based SC Capital Partners also holds a 50 per cent stake in the 40,000 square metre project. Developer Capital Alliance last year received approval for a $200 million 17-storey five-star Marriott Hotel, with 200 rooms and 110 apartments that will neighbour The District. MAB Corp is also building a new Quest hotel across the road. The Docklands’ population is expected to top 20,000 by 2025 when the whole Docklands precinct is complete. The 190-hectare Docklands redevelopment project first commenced in 1997 and will have a value of $17.5 billion. An additional 80,000 people will work in the office towers. Among Ashe Morgan’s other property investments is the recently-approved redevelopment of the former Health and Forestry Buildings fronting Mary and Charlotte Streets in Brisbane.